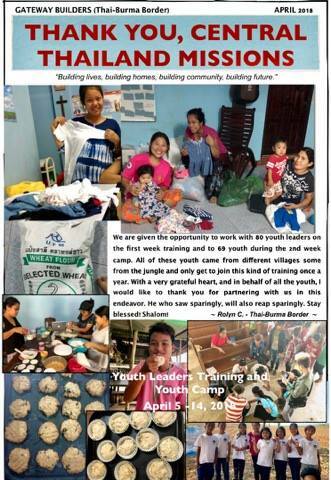 l (PYP families) as well as @BAMBI Moms who faithfully donate clothes, shoes, toys and other supplies which are shared through our partners at Gateway Builders this Karen community of orphans, single moms and struggling families in Sangklaburi. Also Thank you Hilary for coordinating the contribution of monthly flour for our projects. Some of the kids here tasted their first cupcake through the donation of this flour and oil from Sangsook Industry. Thank you everyone for helping us make that difference and adding value to these communities.